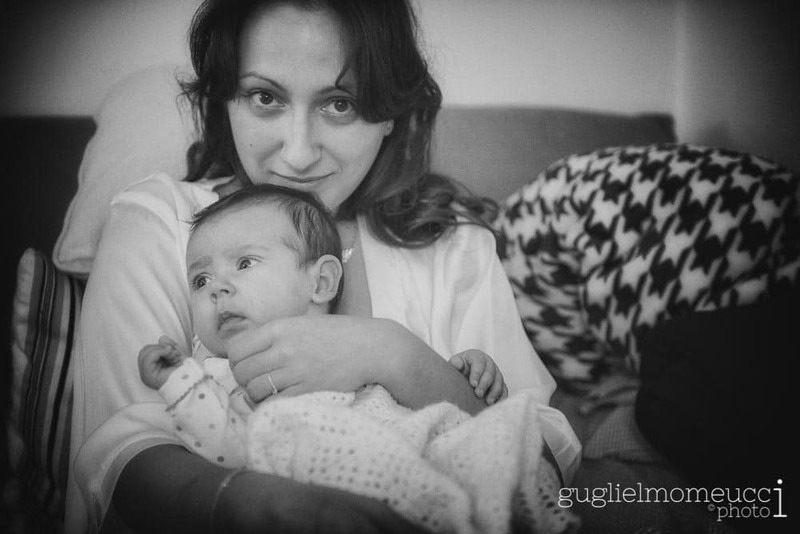 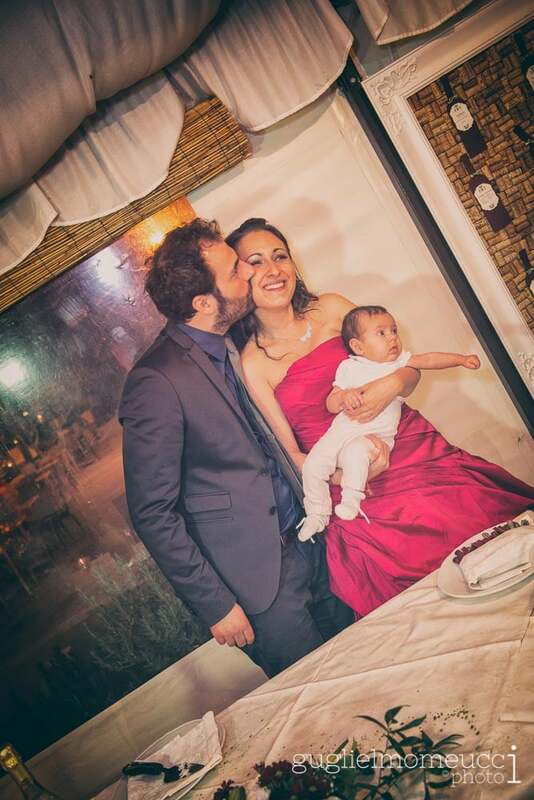 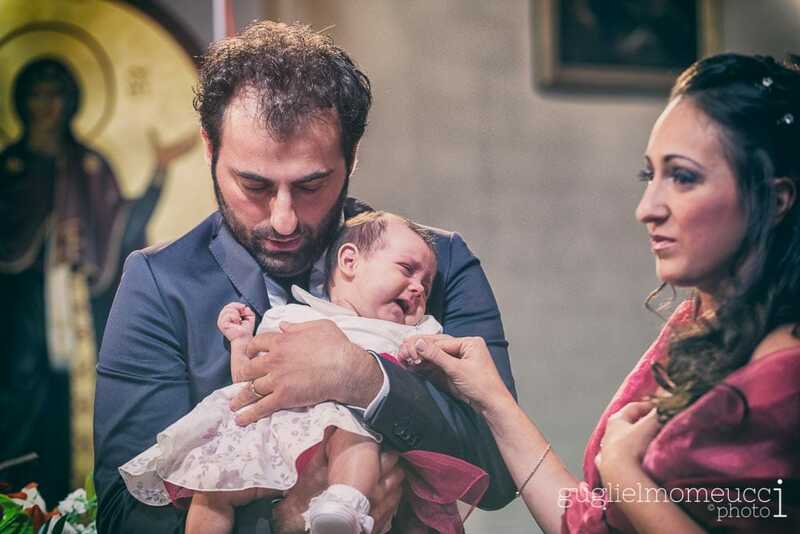 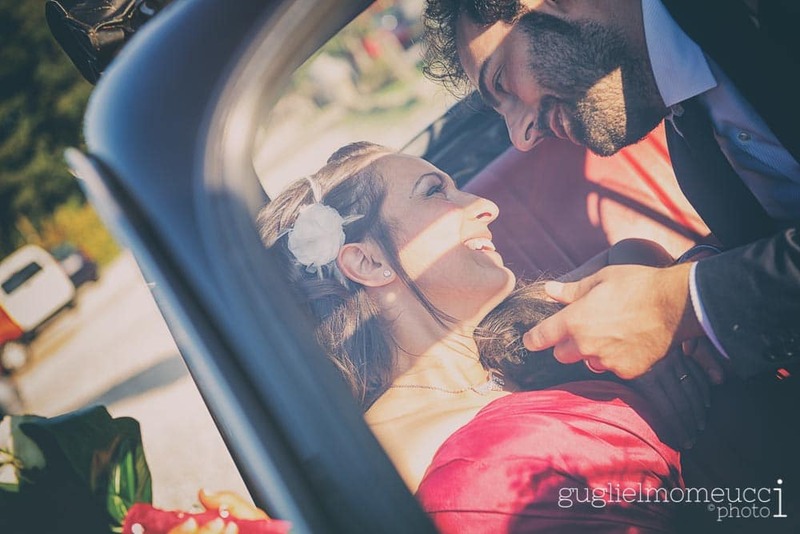 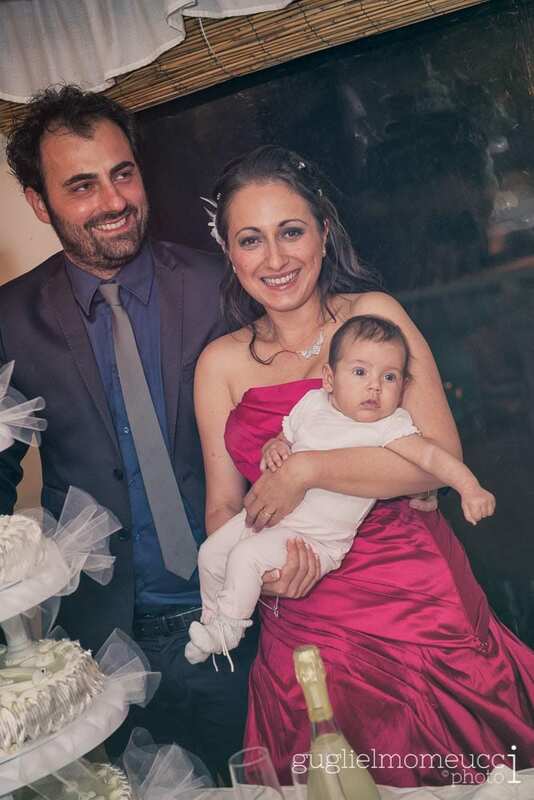 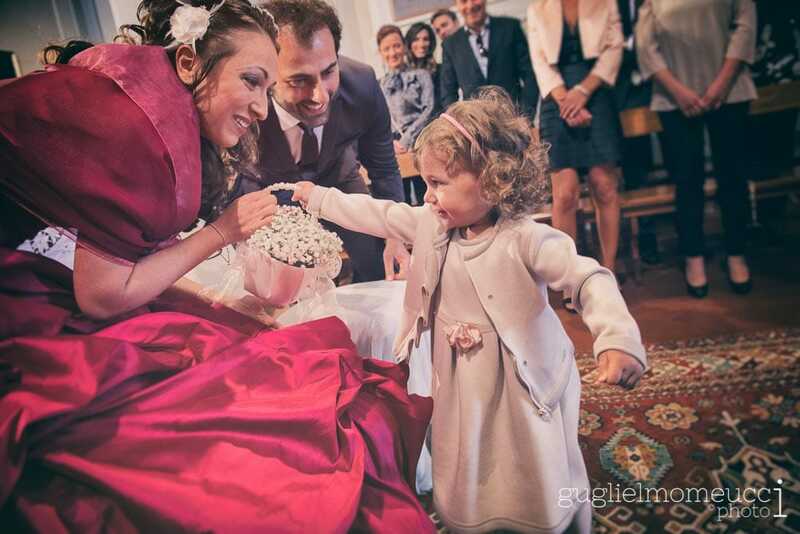 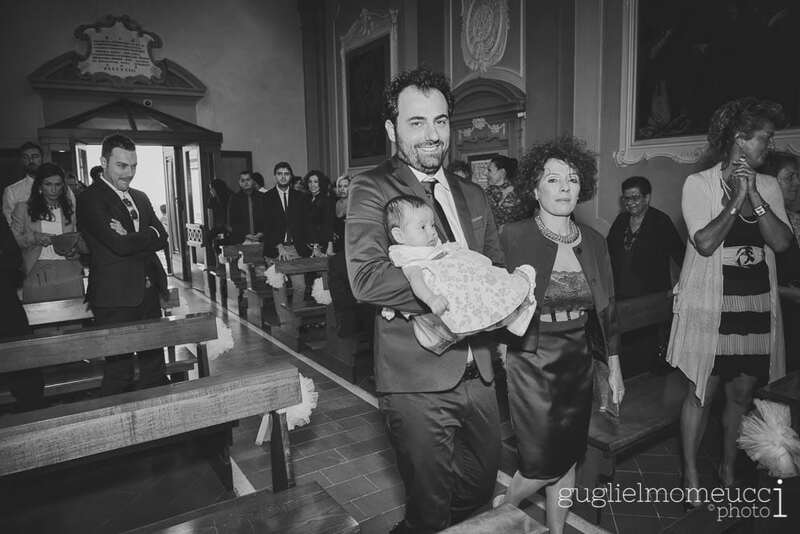 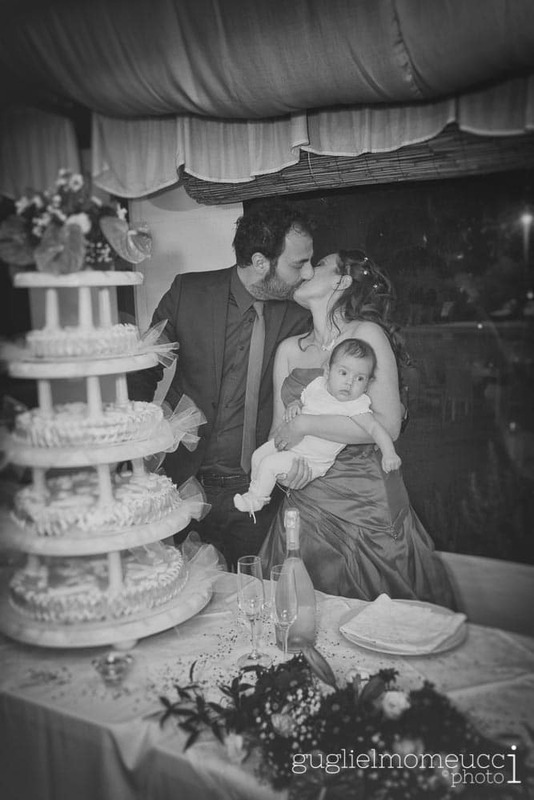 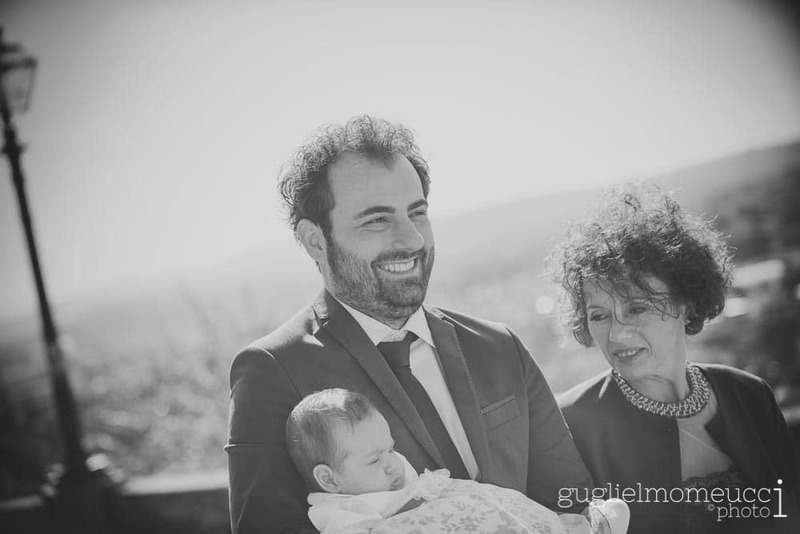 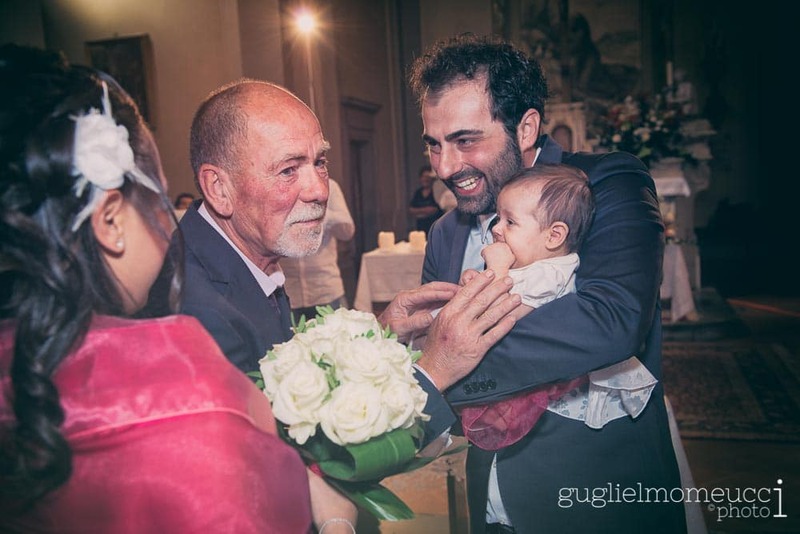 Newlyweds: Francesca + Alessio and their little Viola. 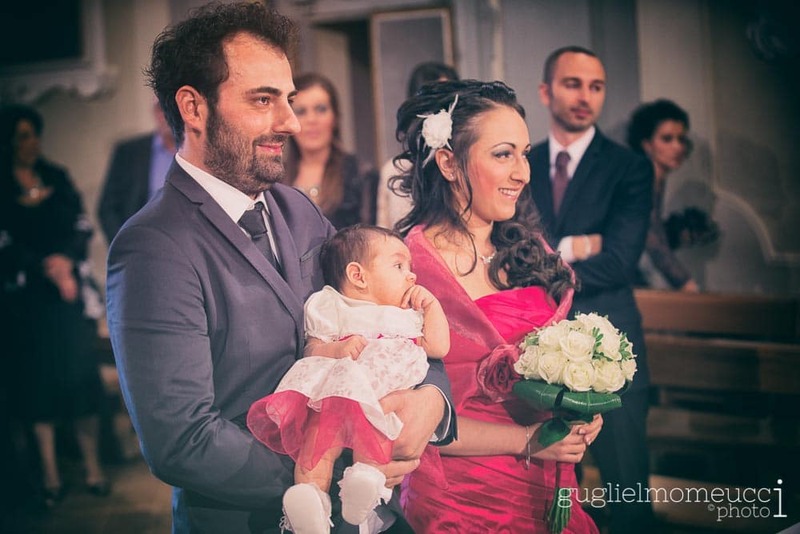 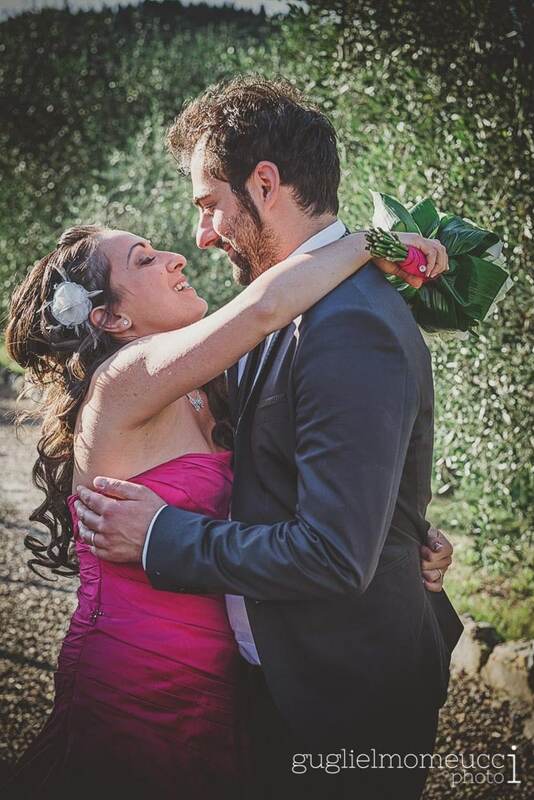 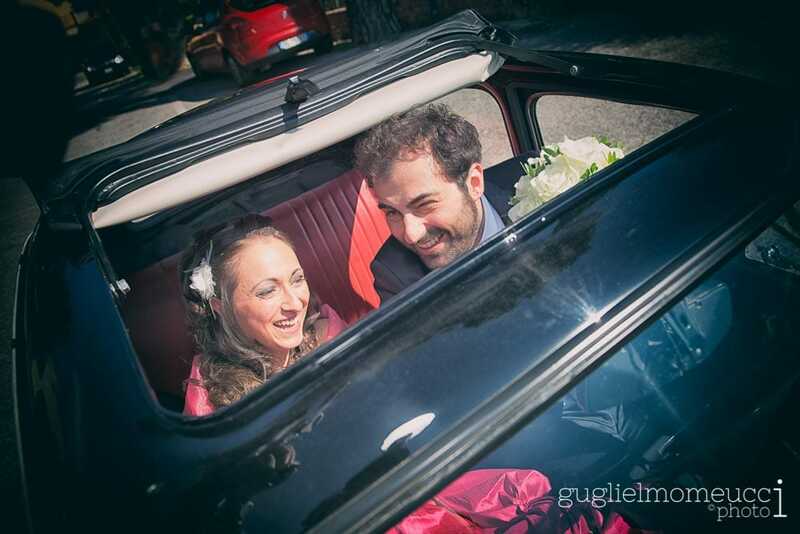 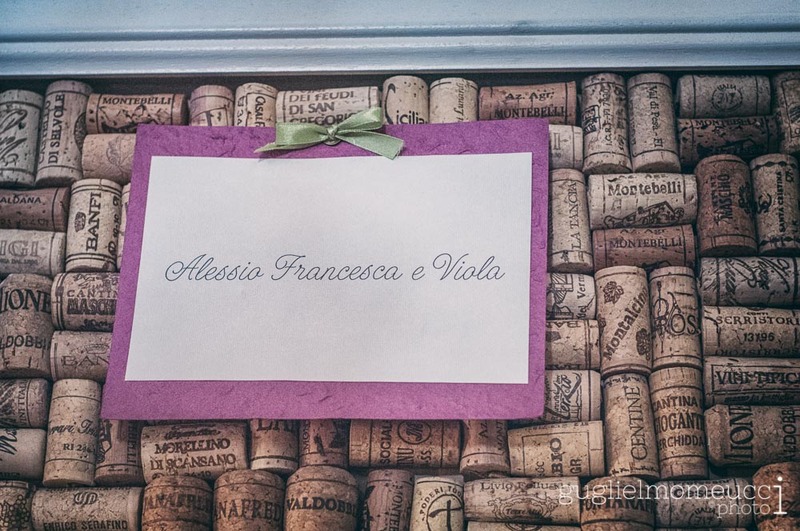 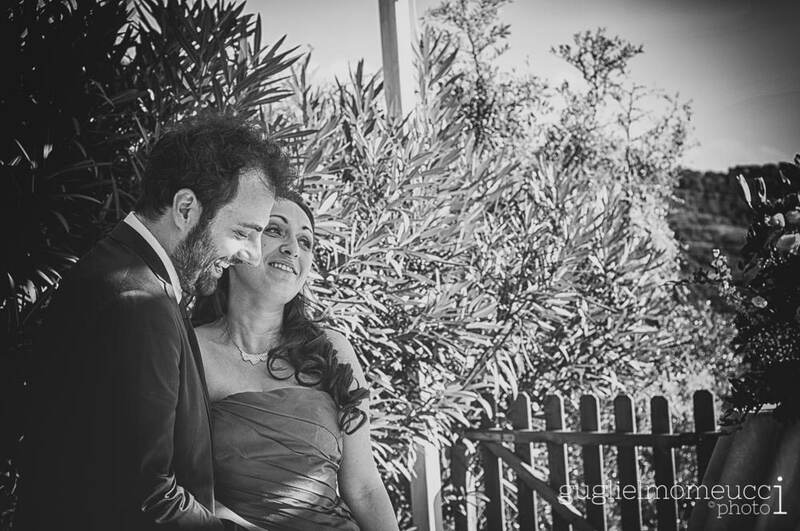 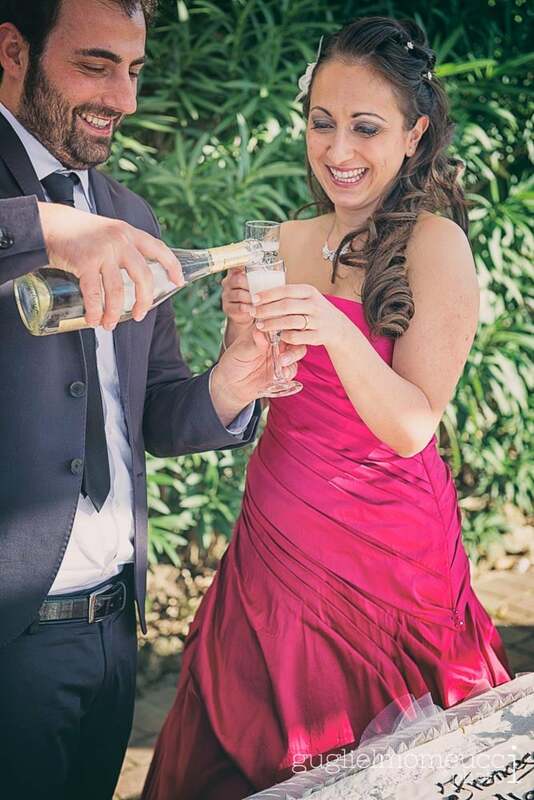 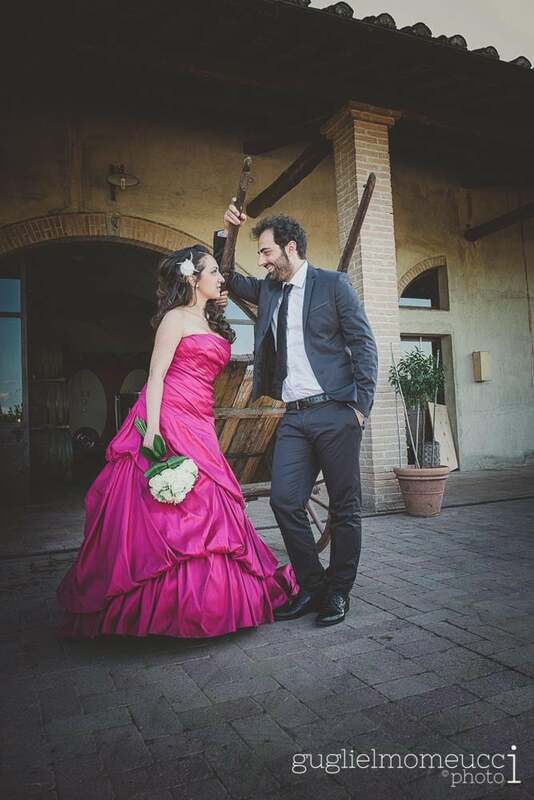 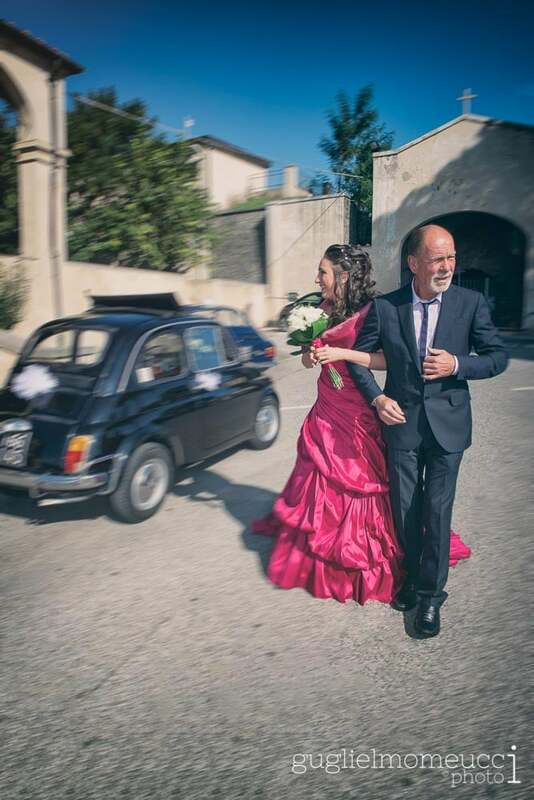 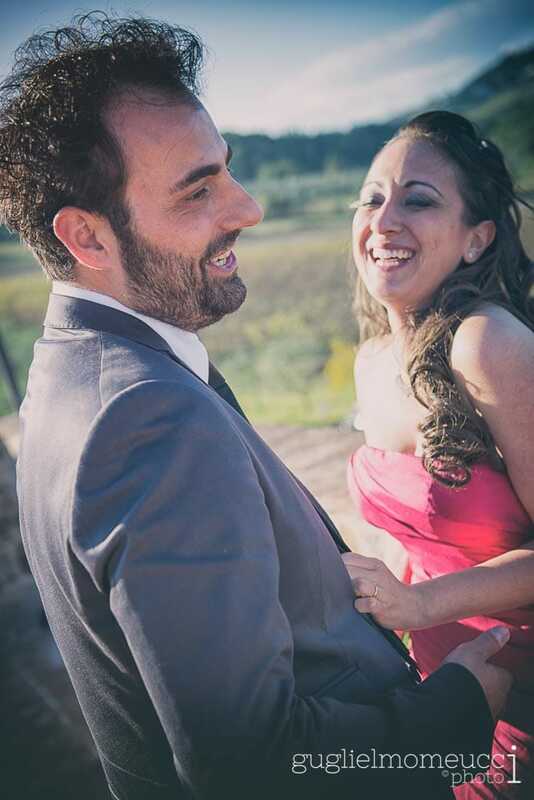 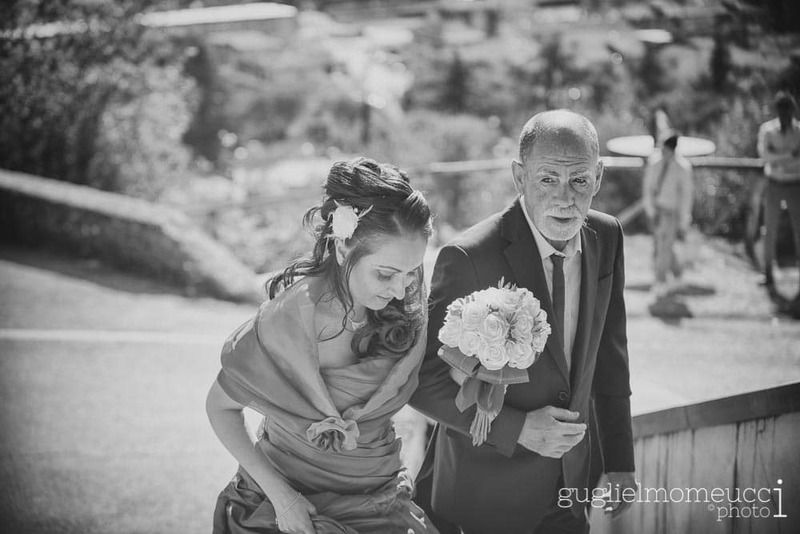 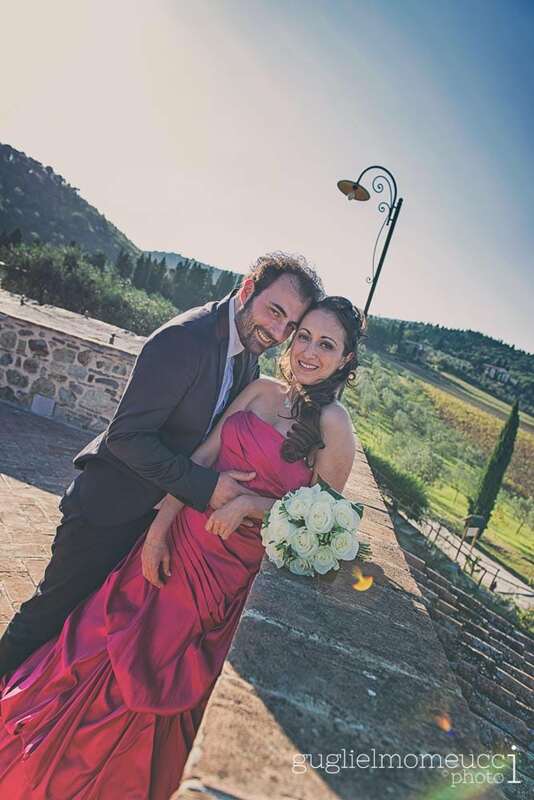 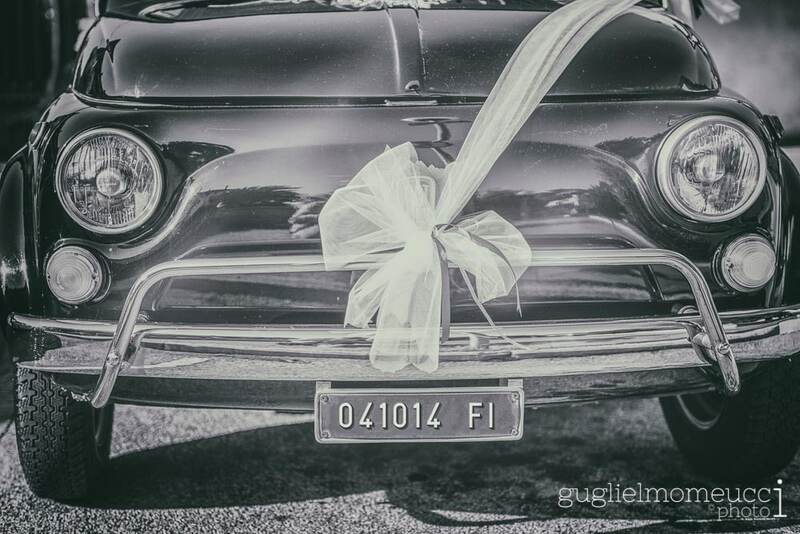 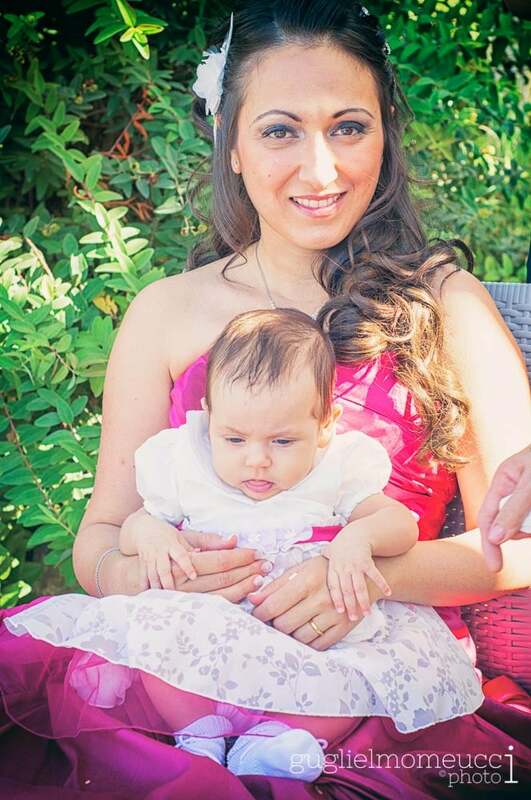 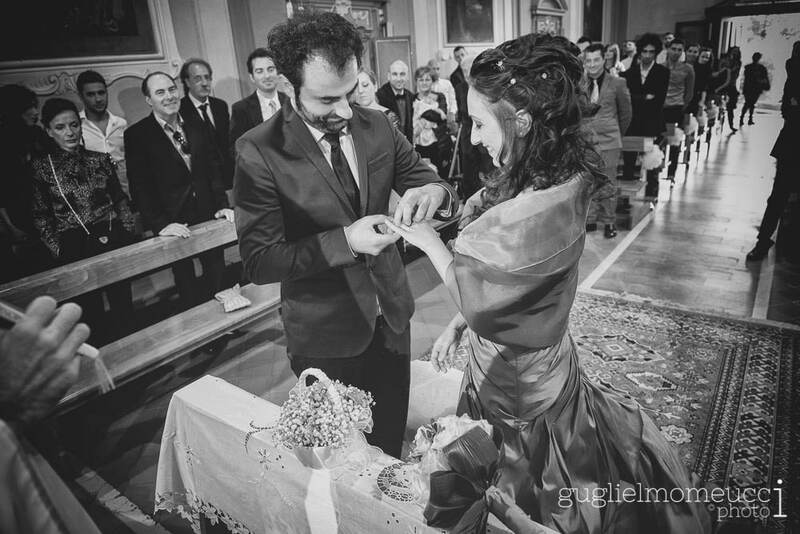 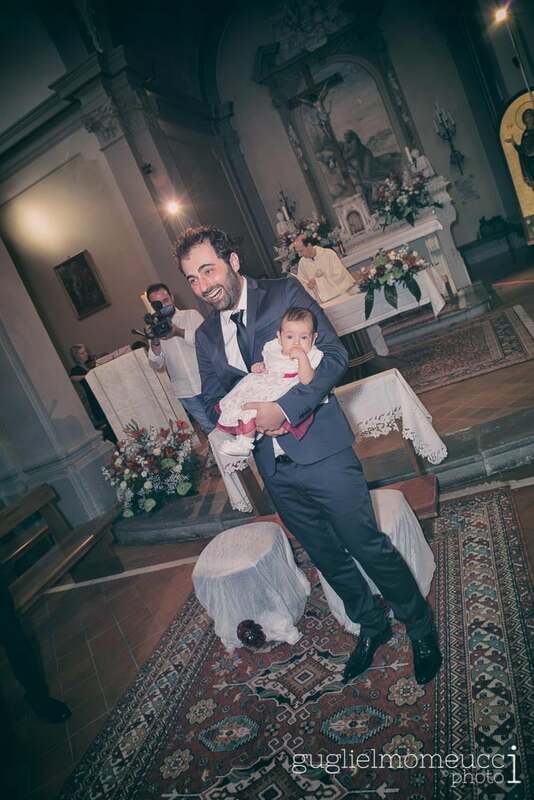 About a month after the photo shoot of Engagement, the big day of Francesca, Alessio and Viola arrived. 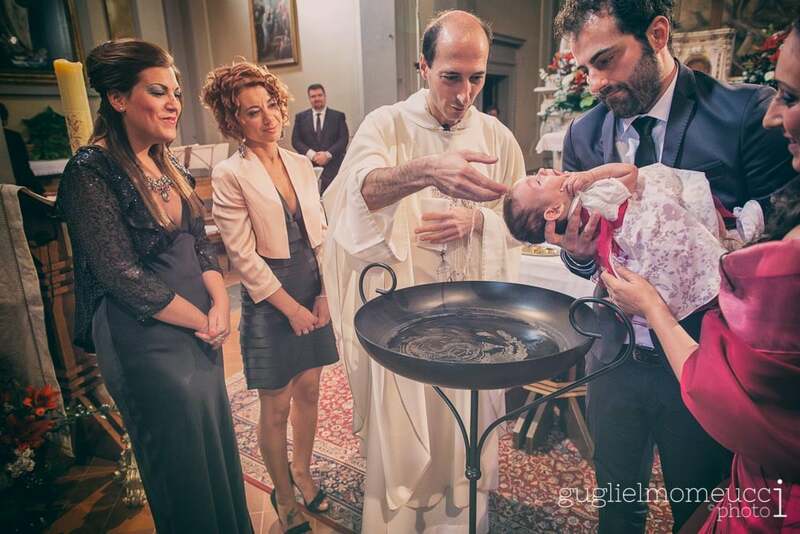 Yes, because along with the wedding was also celebrated the baptism of Viola. 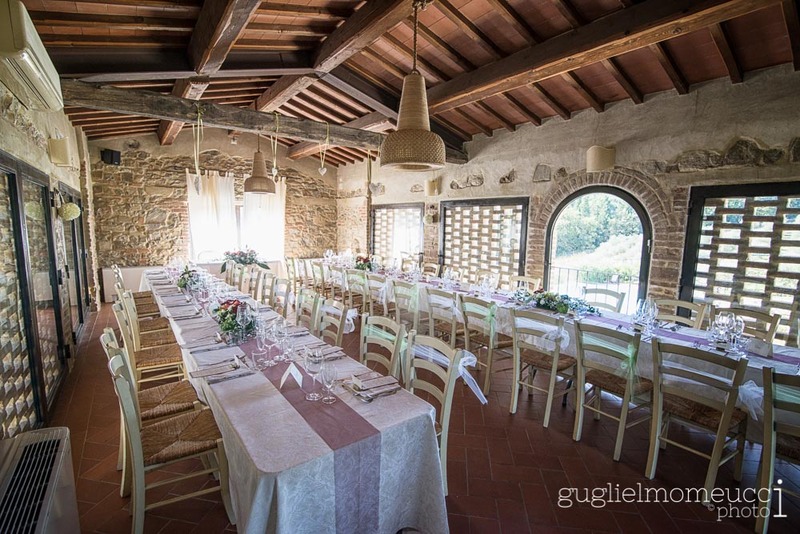 It was a wedding in country-style nestled in the tuscan hills between the beautiful Bonistallo church and the farmhouse “La Borriana”. 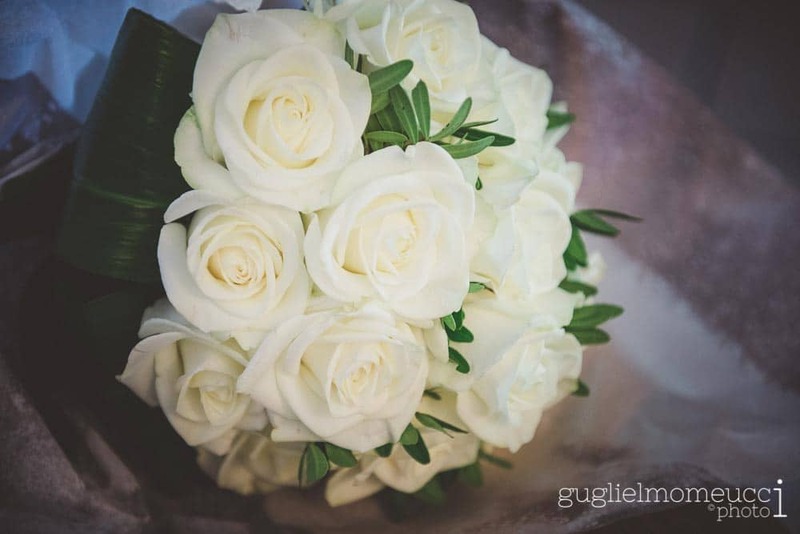 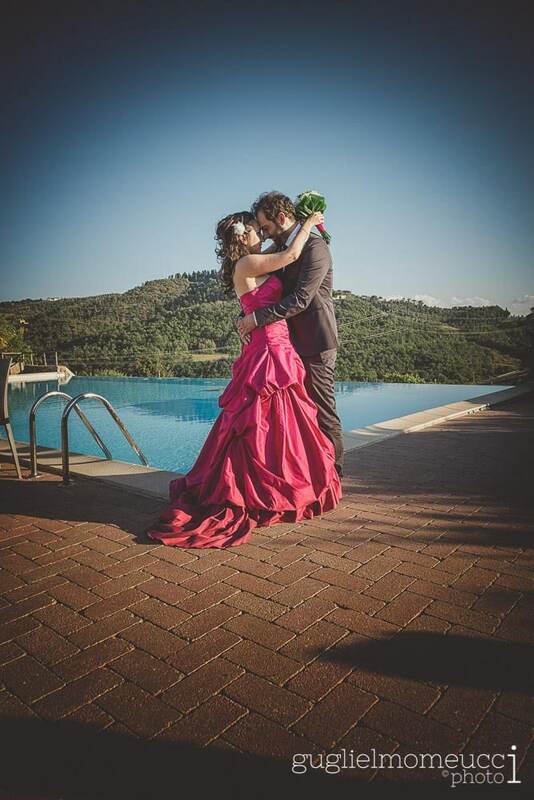 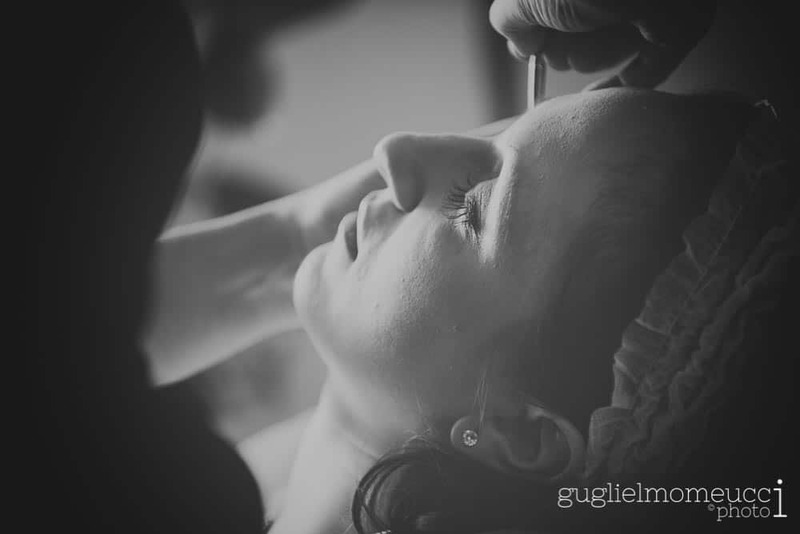 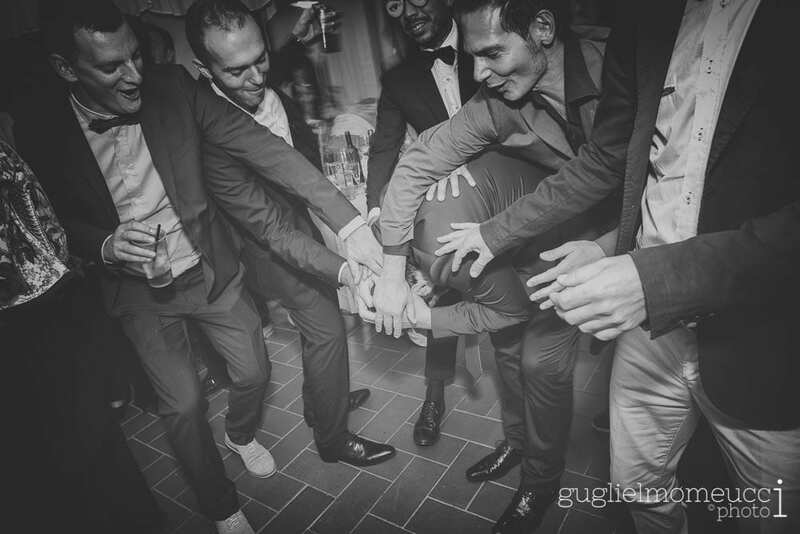 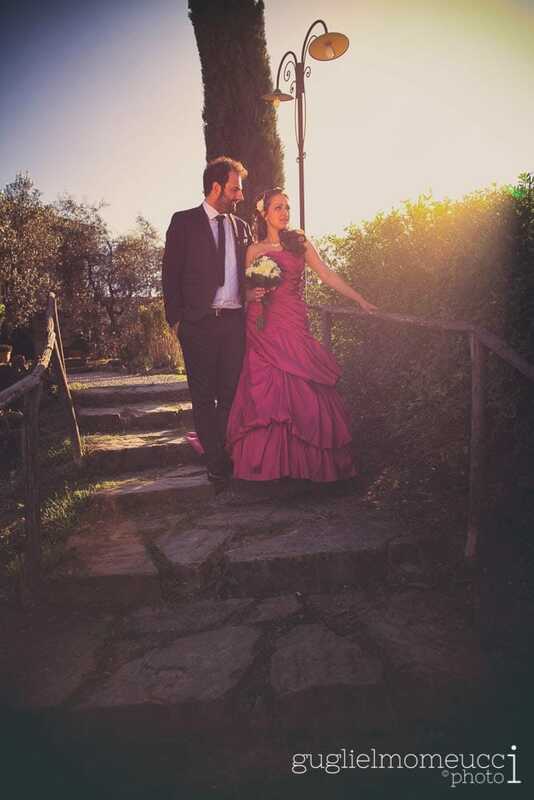 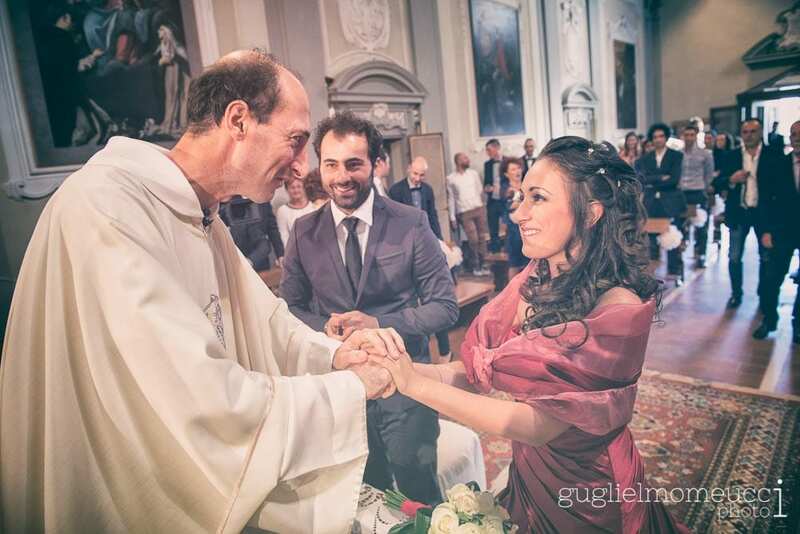 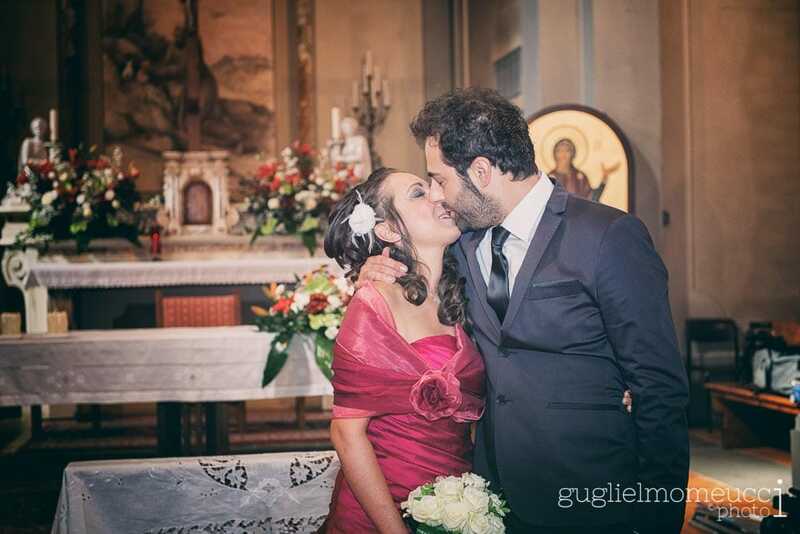 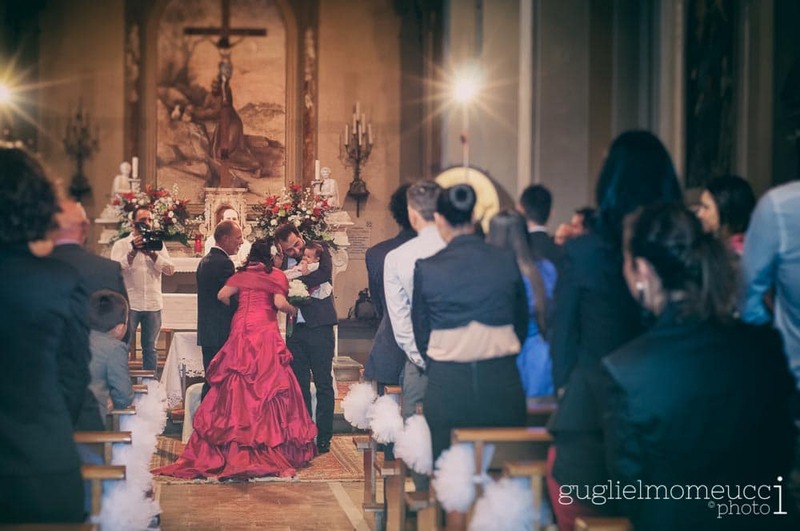 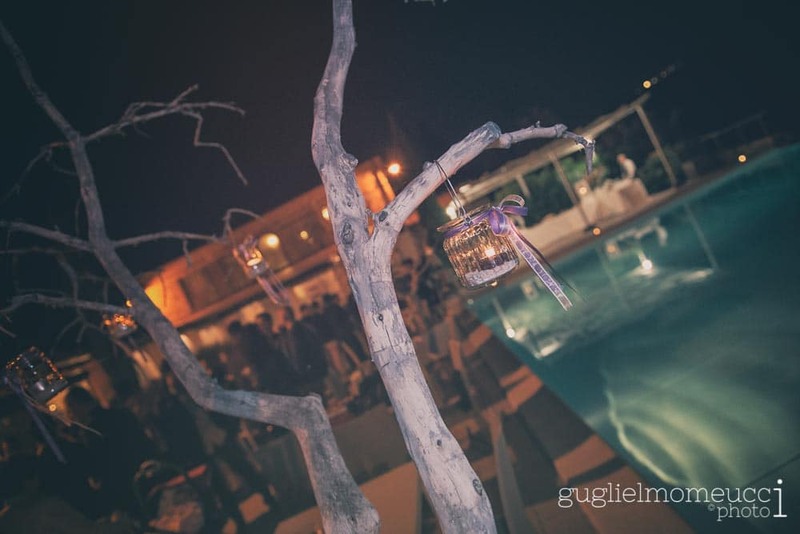 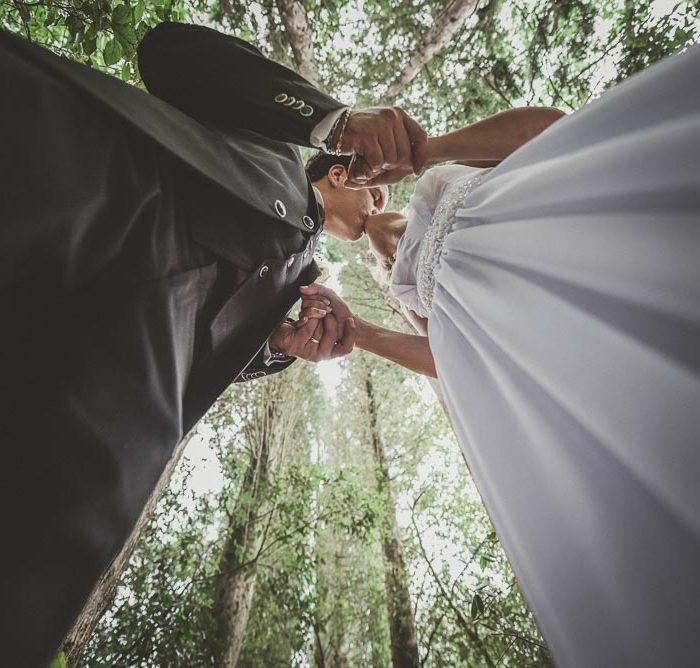 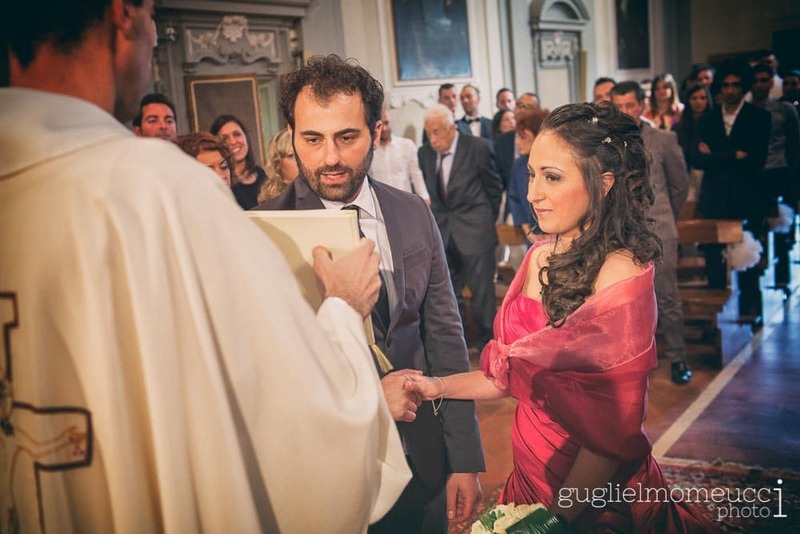 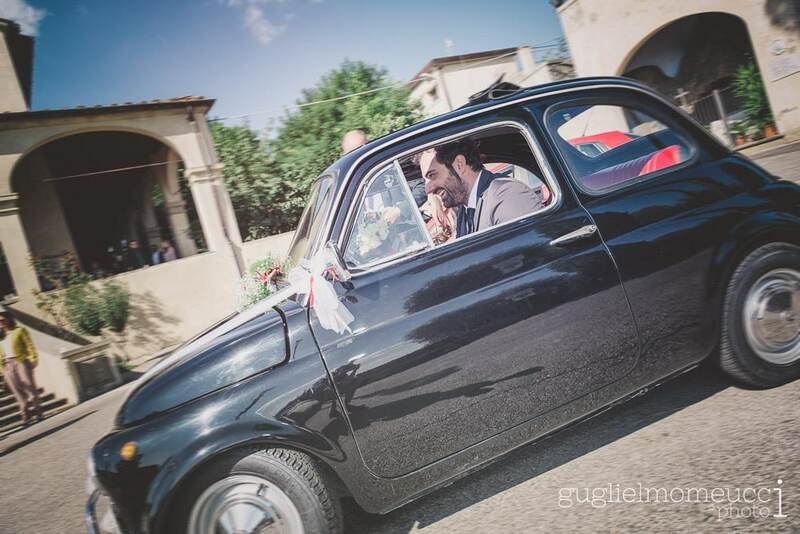 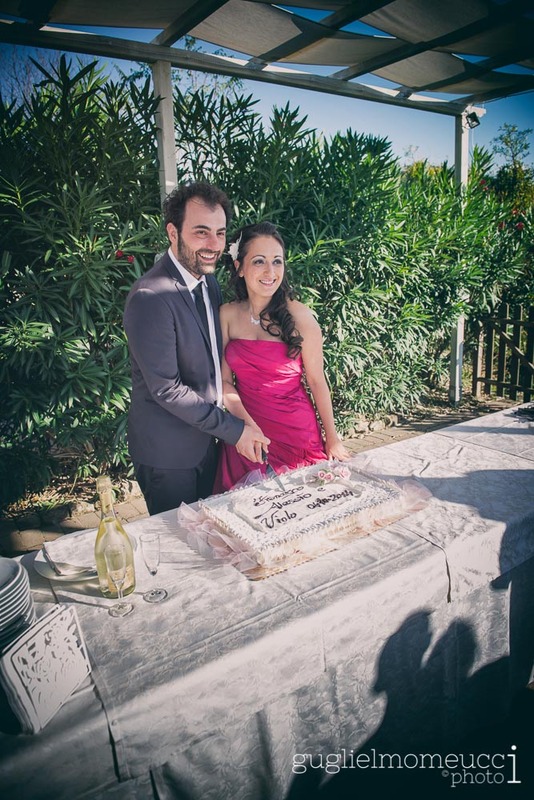 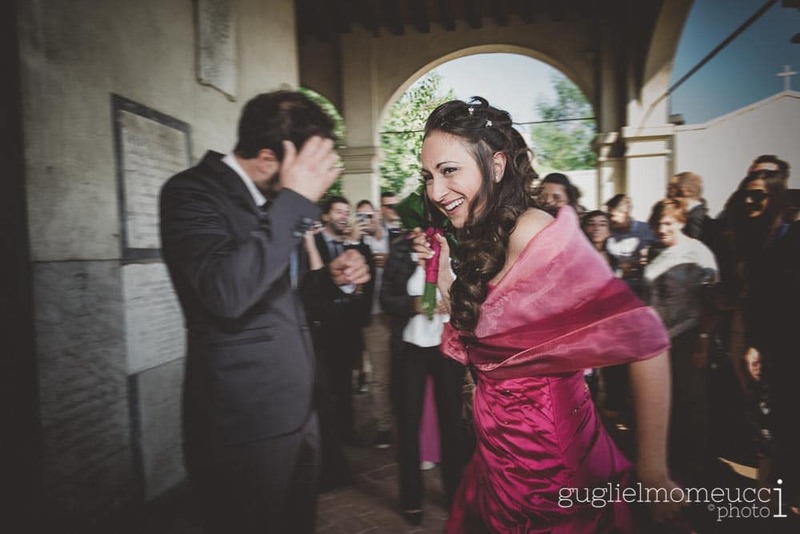 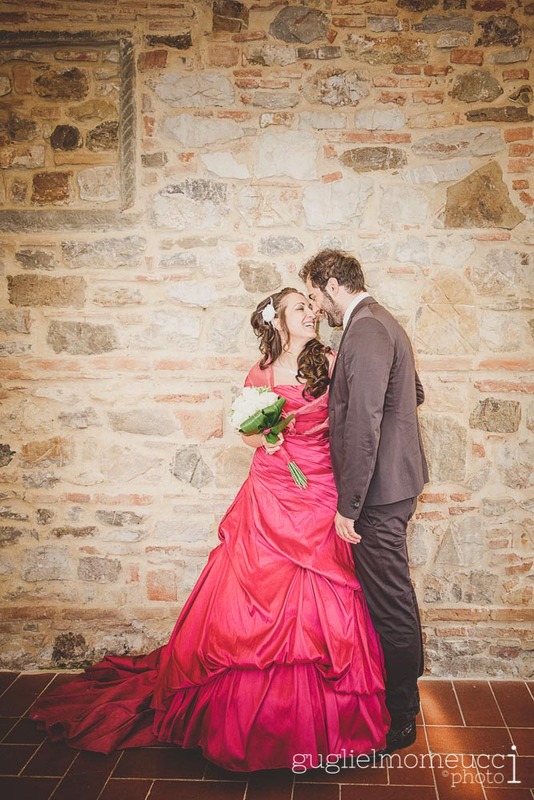 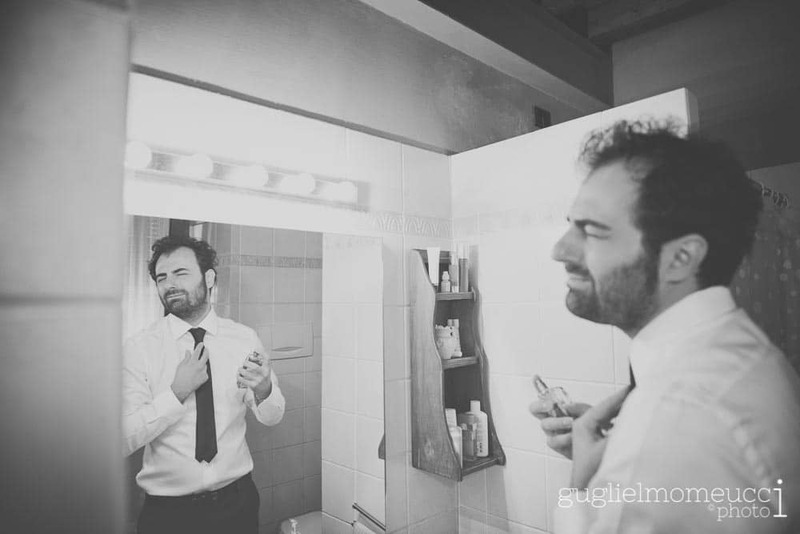 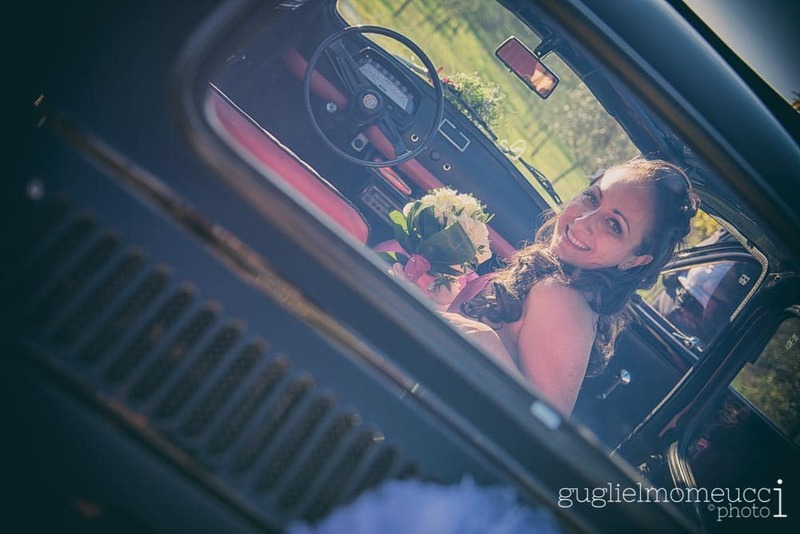 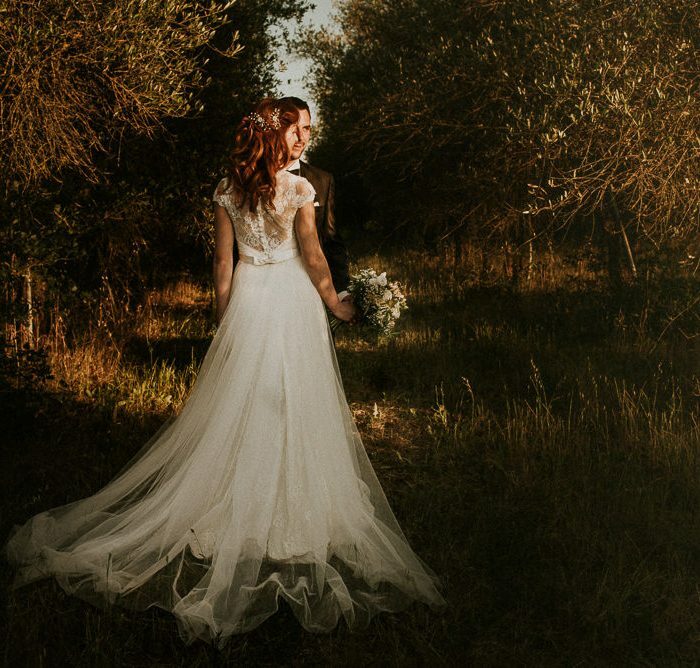 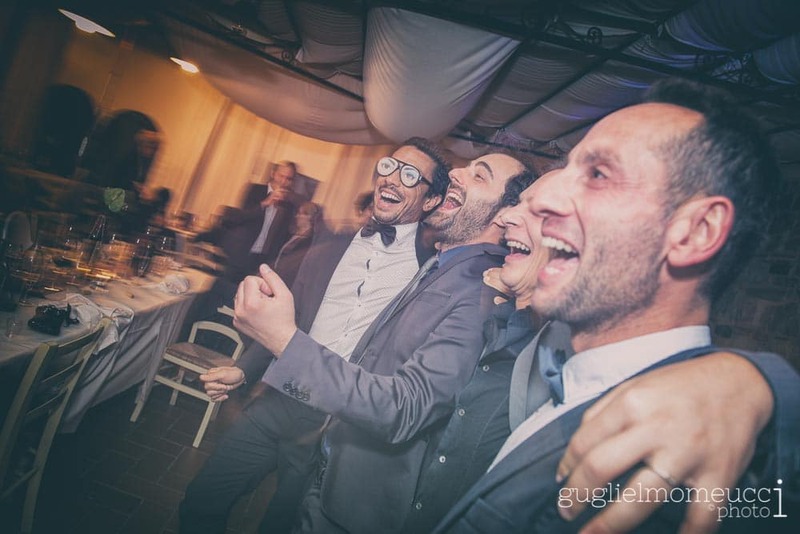 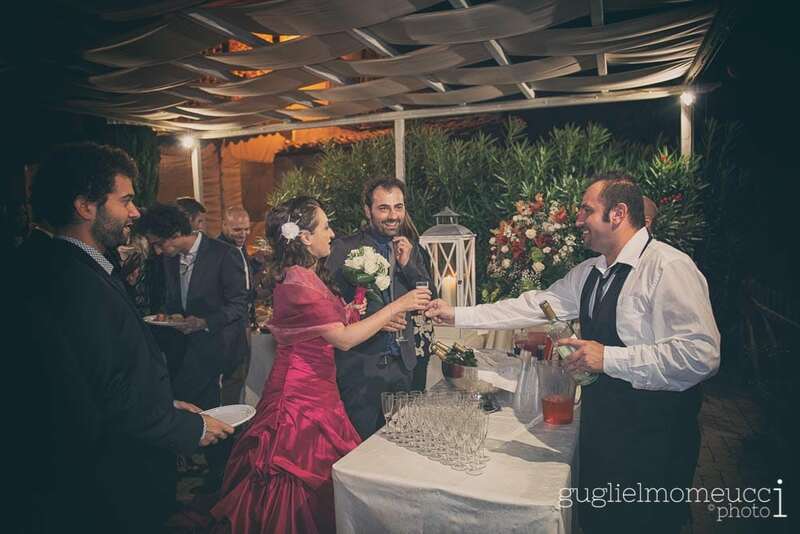 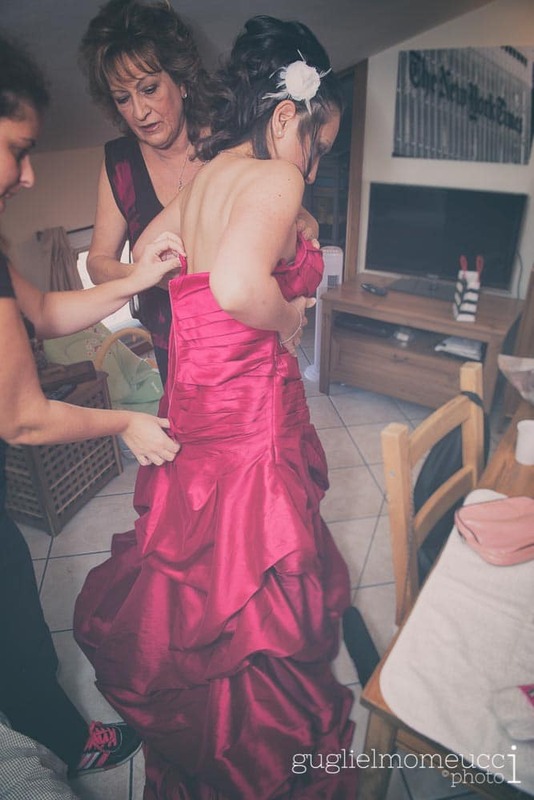 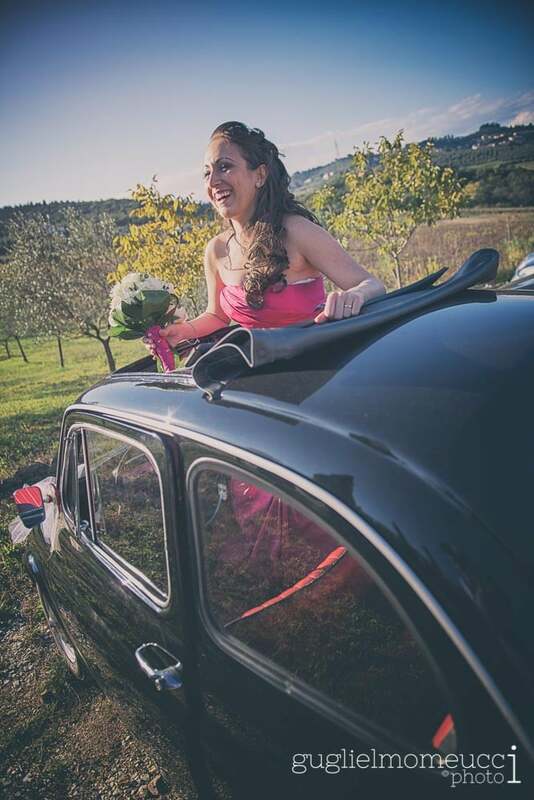 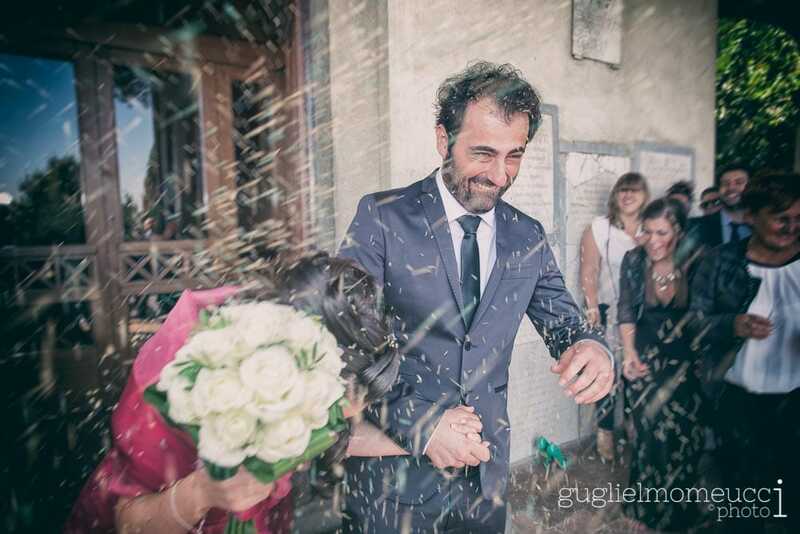 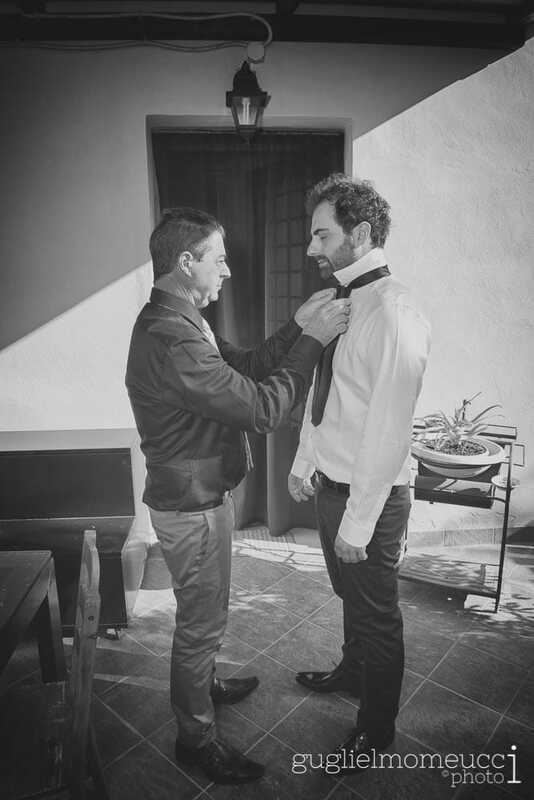 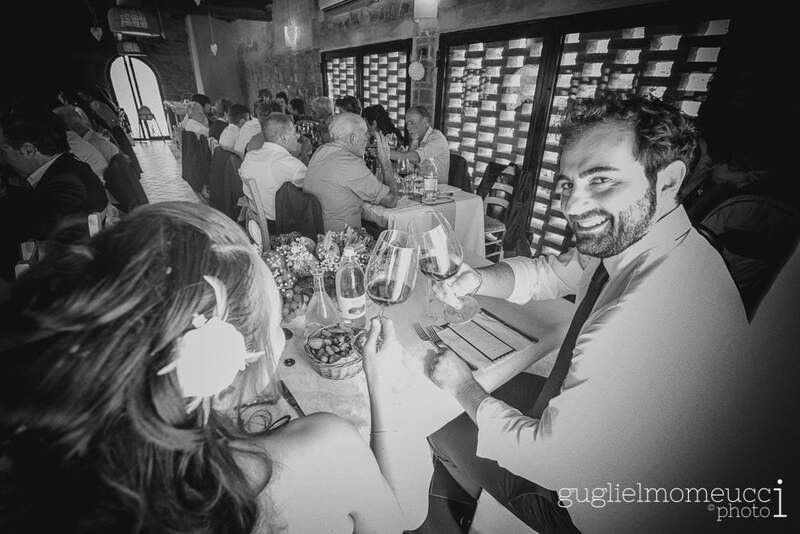 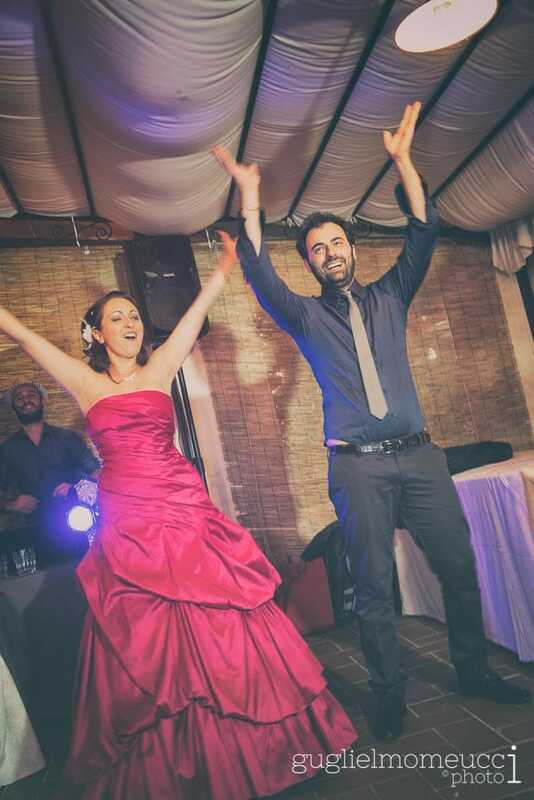 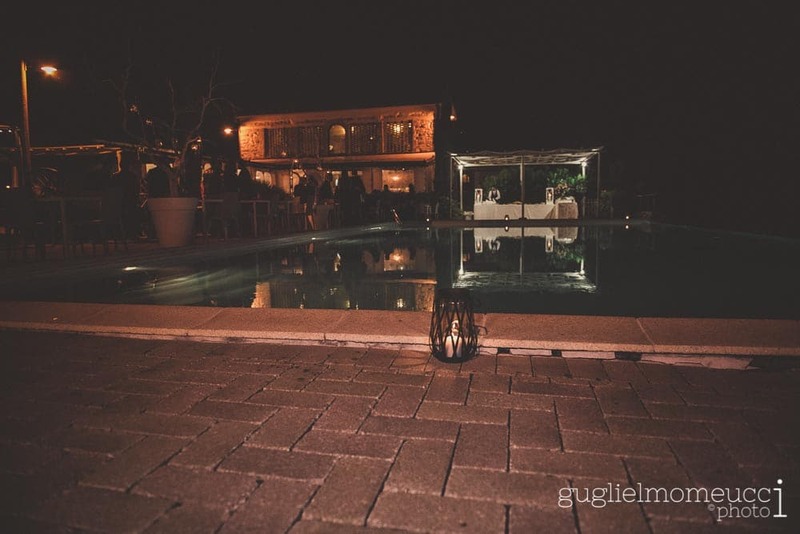 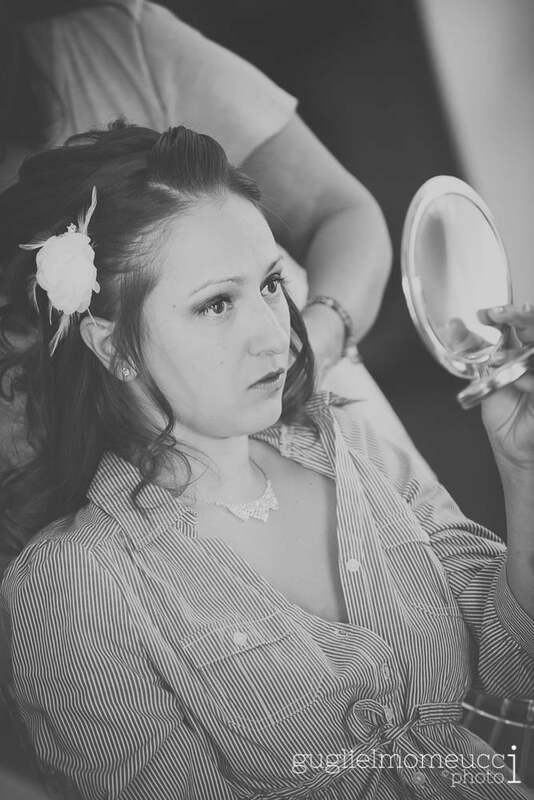 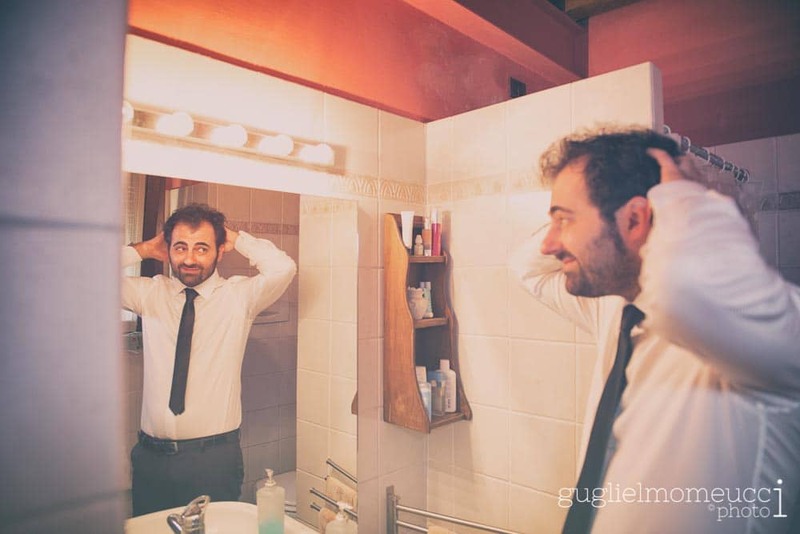 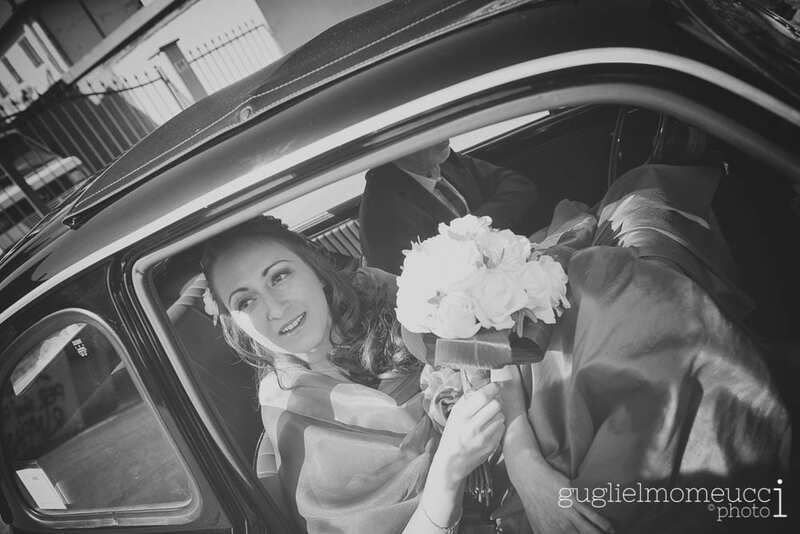 The equipment for the location have been followed by the very professional wedding planner of “Damigella di Nozze“. 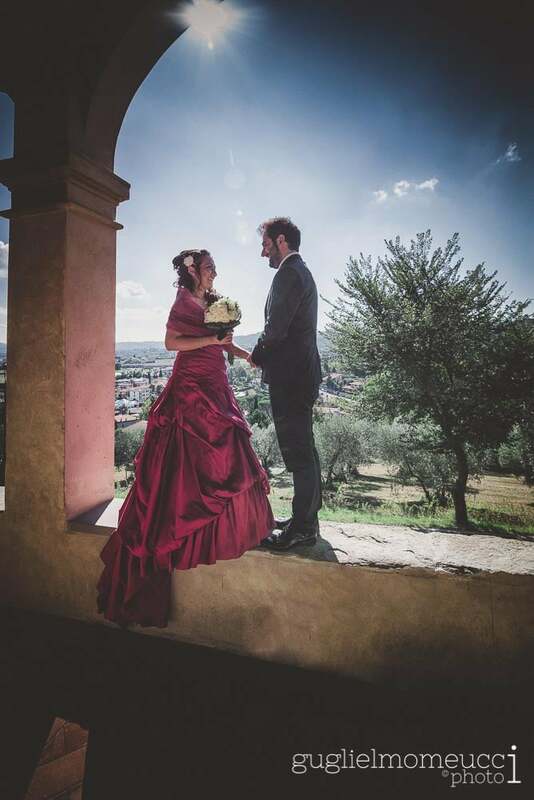 For the couple pictures we shoot at the estate farmhouse as it has a beautiful scenary of the country-side, a terrace and the adjacent cellars of the farmhouse. 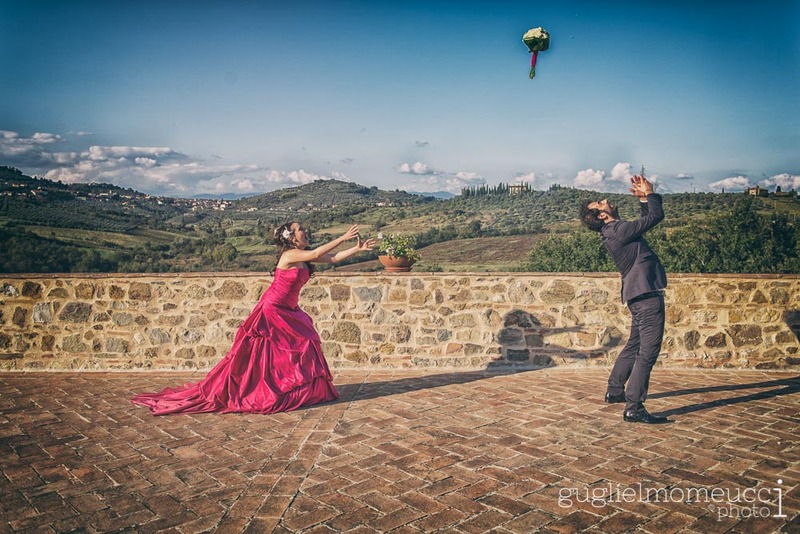 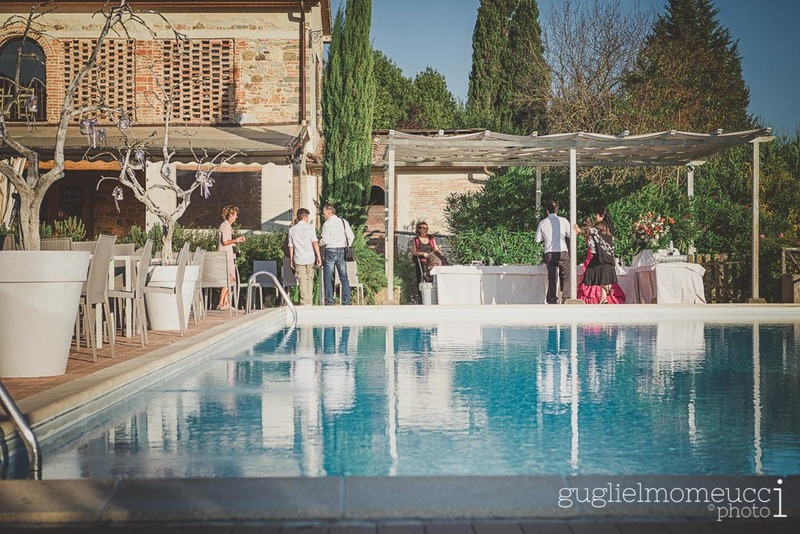 The reception location offers many possibilities including the celebration of the marriage rite thanks to the numerous and wide spaces, such as the beautiful terrace overlooking the tuscan country-side, which in this case was used to take pictures of the couple. 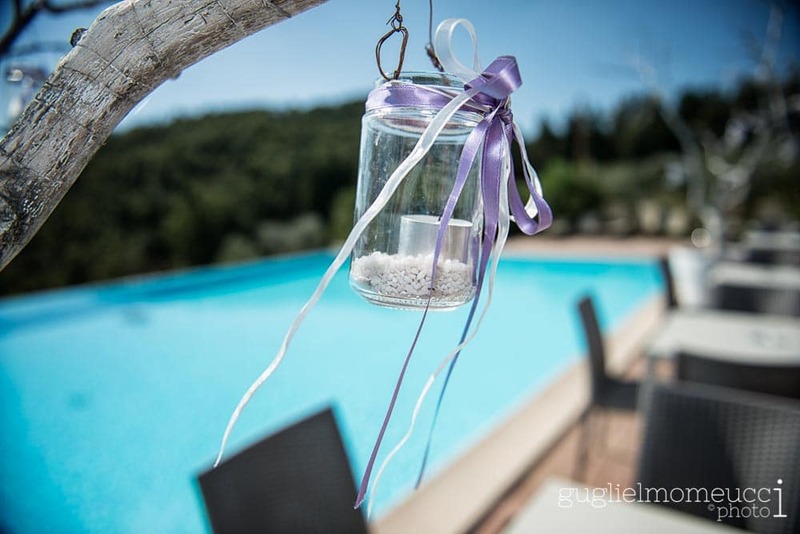 I often choose the places surrounding the wedding location for my photo shoot, this to enhance their value and to enable the couple to spend more time with their guests. 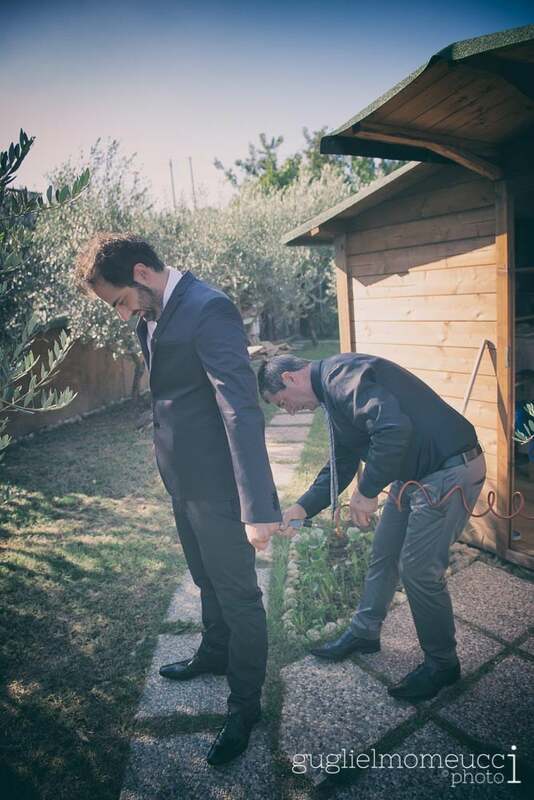 Usually the photo shoot with the bride and the groom last half an hour .